Taking its name from the Greek word for tomorrow, the initiative leverages open source software to promote health information exchange. Low-cost infrastructure, control and ownership of source code, and environments that support rapid deployment of applications have resulted in open source technology becoming more widespread in many industries. As healthcare executives consider how the industry will reach the overarching goals of meaningful use and health information exchange (HIE), many see open source as a viable framework. While the first phase of meaningful use focuses primarily on EMR adoption, the greater focus on HIE is just around the corner and in healthcare circles should create a feeling of urgency. The premise behind the open source software movement is that it can be used, studied, and modified without restriction. Typically developed in a public, collaborative manner, true open source software is available with the source code—the human readable form of the program—permitting users to use, change, improve, and redistribute it in a modified or an unmodified form. As modifications are made, functionality is added to the product and shared collaboratively. And collaboration among all stakeholders along the healthcare continuum—from providers and patients to case managers and payers—is key to effective HIE going forward, according to experts. In an effort to capitalize on the potential of open source, the Alembic Foundation has launched the Aurion project, an open source HIE platform that implements the Nationwide Health Information Network (NHIN) standard services and content specifications. 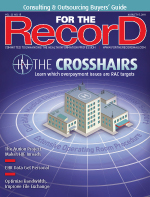 “We see it as an implementation of HIE standards laid out on the federal level,” says David Riley, the foundation’s president and chairman of the board, noting that this first project will enable the secure exchange of interoperable health information among diverse organizations using a wide variety of technologies. Carl Reynolds, BSc, MBBS, DPMSA, MRCP, a practicing physician and health information expert based in London and coauthor of the paper “Open Source, Open Standards, and Health Care Information Systems,” believes open source software-licensed HIT environments provide a unique opportunity for the promotion of effective systems by enhancing clinical engagement in software development, fostering innovation, improving system usability, and reducing costs. And while the benefits appear to align well with the needs of the HIE movement, he says the challenge for widespread adoption is a lack of understanding and awareness of open source environments. “The real challenge will be attracting and building an active community of contributors and users to make sure the project thrives,” he says. In 2009, “Connect” was released on the federal level as an open source software solution supporting HIE development. The project’s premise was to establish a community that supports NHIN standards and governance to make sure HIEs are compatible with other exchanges being set up throughout the country. Initially developed by federal agencies to support their health initiatives, it was made available publicly to help set up HIEs and share data using nationally recognized interoperability standards. Currently, the Aurion project is a collaborative space with several organizations working together to help achieve open technologies for nationwide health information exchange. The participants are Agilex, Apprio, CollabNet, Conemaugh Health System, Harris Corporation, Mirth Corporation, Northrop Grumman Systems Corporation, and Oregon State University Open Source Lab. As an offering on the federal level, Connect could previously take input from varied stakeholders, but the requirements were managed exclusively by the federal agencies in charge of the code. According to Riley, the promise behind offering the rebranded codebase through Aurion is that the potential now exists for a broad range of diverse and unique perspectives to be included, ultimately creating and delivering software that will have more widespread applicability. With the release of Aurion 4.0 in May, the foundation assumed a custodial agent role of the software for creating an open community around the platform. To better understand the broader picture of open source software, Reynolds explains there are two concepts for creating and delivering software: proprietary software, such as the Microsoft Internet Explorer Web browser, and open source software, such as the Mozilla Firefox Web browser. The primary differences center on the issues of ownership and availability of the source code. Source code essentially refers to the written language of computer programmers that is turned into the machine code computers execute. The inherent advantage to open source software is that the end user can access and modify application source code due to the way ownership and licensing are structured. Essentially, new machine code can be made and redistributed, a tactic that is not possible with proprietary software because the source code is not made available and users can access and execute only the machine code. Riley points out that organizations implementing Aurion as a component of their HIE strategy will have the built-in benefits of nationally recognized standards that enable data exchange with federal agencies as well as with numerous other HIT stakeholders. The platform provides a pathway for requesting, sending, and receiving medical records so critical information can follow patients through the healthcare system and empower them to be more active and involved in their care. Because the framework is already in place, providers looking to establish an HIE can build off Aurion to rapidly deploy their strategies in a cost-effective manner. “Open source plays an important role in providing an alternative to getting up and operating quickly,” Cunningham says. According to Riley, all software projects that fall under the Alembic umbrella will be member based, where prestige and leadership in the community is earned over time. “Whether writing, testing, or developing requirements, as you become more involved, you earn more responsibility and more leadership,” he explains. Citing the Apache open source community as an example, Riley points out that this approach is common for open source environments. “It’s a community-based, earn-your-stripes approach,” he says. Registration is encouraged by the community but not required unless you want to earn leadership opportunities. “If you don’t want to register, you can still participate in the community. It’s up to an individual or organization whether they want to register,” Riley notes. While the community itself will define Aurion’s governance structure, Riley says the providence of a piece of code from an intellectual property perspective is important. “Open source communities have learned the hard way that you do need a solid process to follow and documented providence,” he says. Two approaches exist for assigning providence to source code in an open source community, according to Riley. The first is to have programmers and developers donate the code to the community. The second approach allows the developer of the code to keep the intellectual property rights but provide the code to the community through licensing arrangements. “We have a set or standard legal agreements developed, and we recommend that all our communities adopt these,” Riley says. One barrier to widespread adoption of open source software is a perception that it’s inherently less secure than closed proprietary software, according to Reynolds. In his recently published paper, he cites arguments that claim attackers can more easily find and exploit vulnerabilities because the code is public. Many healthcare experts believe these concerns are unfounded. In fact, Cunningham points out that Aurion’s overall framework is built on stringent security standards. “Open Source, Open Standards, and Health Care Information Systems” mentions the importance of having open standards within an open source community to promote competition between the developers of proprietary software and open source software. While there is some disagreement in the industry as to what is required for a standard to be considered open, Reynolds notes that one of the following frameworks should exist for the classification to be accurate: There should be open participation in the process by which the standard is defined and managed, and the standards should be owned and managed by official international or national standardization bodies. Along with these methodologies, Reynolds suggests that going forward, a successful open standard will foster an environment where there are competing implementations of the same standard, “making the substitution of alternative components possible in reality, not just theory.” This way, the potential for higher quality and more widespread adoption exists, he adds. “Recognition that open standards require open source reference implementations to be successful and unlock real benefit is welcomed. In this respect, the Aurion project is promising,” Reynolds says. Riley believes there is great long-term potential for the Aurion project in HIE as well as other industries. “Looking toward the future, we’ll continue to have a strong healthcare focus, but the technology can extend to industries where the exchange of any kind of personal information is protected by privacy laws,” he says. Pointing out that attracting and maintaining an active community will be the first challenge the Aurion project faces, Reynolds suggests that to be successful, the Alembic Foundation will need to be absolutely clear about the license used. He also says open source environments thrive when they use more standard code repositories such as github and engage with existing project communities. The Alembic Foundation’s vision over the next five to 10 years, according to Riley, is to grow enough to have several different projects in the fire at the same time (software, hardware, etc).